A big beautiful tree once stood there. But no more. In the sweltering heat and pollution of the big metropolitan cities of India, sometimes happiness seems a lost cause, amongst all the noise and chaos. In all this commotion if one gets to spend, a minute or two under the lovely shade of a tree on the roadside… the relief felt, cannot be put into words. The temperature under the tree on an average is about 10 -15 degrees below the actual temperature on a hot sunny day. It acts like a “natural air-conditioner”. Whenever you see a tree on the roadside being hacked, don’t just stand there and watch it happen. According to a recent study done by the Times of India, most of these are “illegal felling”, either done by private contractors or hutment dwellers. 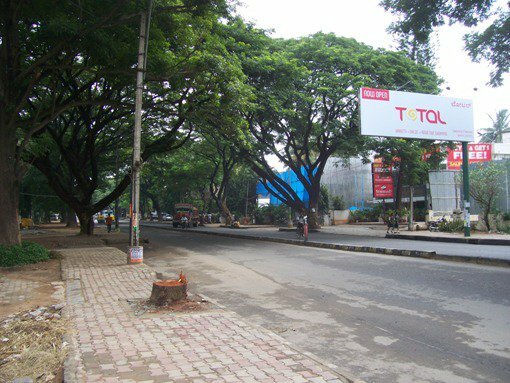 Under the Maharashtra (Urban Areas) Preservation of Trees Act, 1975, every act of chopping, even if it is the same tree at different times, constitutes a separate offence . The penalty is a fine of Rs 1,000 to Rs 5,000 and imprisonment stretching from a week to a year. If you see such an act taking place in your locality make it a point to report it to the Municipality or police. It might be a little troublesome and might need you to take some time out of your busy schedules, but you need to realize that the absence of the same tree on a hot sunny day might deprive you of that happy cool moment in the shade. Think about it….